Looking for deals in Niagara Falls? 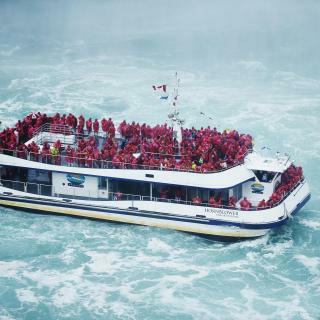 This hotel is located less than one mile from the Maid of the Mist Niagara Falls boat tour. It features a full service spa and free Wi-Fi in the rooms. From the outside it does not look like much. But when you go inside the decor is EVERYTHING! The room is BEAUTIFUL! The staff is WONDERFUL! It's one block off of the main street. Don't pay the $17 parking fee. Just park it in the lot next door for $4 for 12hrs it's a hidden GEM this hotel is! Perfect for business and leisure travelers alike, the Quality Hotel Fallsview Cascade is the closest hotel to Niagara Falls. Everything was good including the room, view, free parking, WiFi, staff, breakfast. There was a balcony also. Just 1 block from Niagara Falls and the heart of the entertainment district, this hotel offers an indoor and outdoor pool. The Keg Steakhouse & Bar is located on site. Everything...and it was in a location close to...yet not in the middle of...all the activities. Perfect! Niagara Falls Marriott Fallsview features a full-service on-site spa. This hotel is conveniently located just 5 minutes’ walk from Fallsview Casino and the Scotiabank Convention Center. Staffs were amazing as usual at Marriott. Location Wonderful, I’m sad that it’s not part of world’s wonder anymore. Located in Niagara Falls, Ontario, and within walking distance from the famous waterfall, this hotel offers a variety of modern conveniences in an ideal location. Comfortable and well located. Friendly staff. Connected to Casino Niagara and Fallsview Indoor Waterpark, this hotel features views of the Niagara Falls. 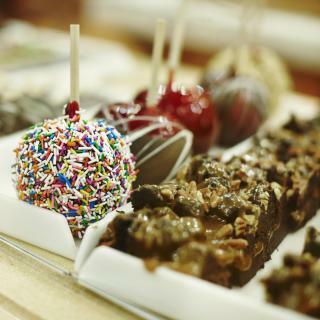 It offers on-site dining, shopping, and spa treatments. Amazing view, good staff, clean and nice location. Less than 3.1 mi from the stunning Niagara Falls and attractions such as the Fallsview Casino, this Ontario hotel offers an enjoyable pool courtyard as well as a variety of on-site dining options. Wonderful breakfast/fitness room was great/comfortable room. Just 10 minutes' drive from Horseshoe Falls, this Niagara Falls hotel offers free WiFi in every room. It features a hot tub. It was good , we love everything and we hope t come back again thanks . This Niagara Falls, Ontario hotel is within a 3-minute walk from the Fallsview Casino and just over a quarter mile from the Canadian Horseshoe Falls. The staff were very friendly and helpful. Just a 10-minute walk from Horseshoe Falls, this Days Inn by Wyndham Niagara Falls Near The Falls features an indoor pool and hot tub. Rooms are equipped with free Wi-Fi and a satellite TV. I’ve never stayed so clean place like this hotel, everything is so tidy in the room. Boasting a free hot and cold breakfast buffet, free on-site parking and free WiFi, Clifton Victoria Inn at the Falls is located in Niagara Falls, 328 feet from Casino Niagara. Free parking. Next to casino. Breakfast ok. Adjacent to the Skylon Tower in the heart of Niagara Falls, this Ontario hotel features an indoor and an outdoor pool. the room was perfect. the heating was easy to control. service was great. the king bed was amazing. A few minutes' walk from the world-famous Horseshoe Falls and offering on-site tour assistance to surrounding area attractions, this Niagara Falls, Ontario hotel features comfortable accommodations... Great location for Niagara Falls. Located in the Fallsview district, this Niagara Falls property provides free WiFi. A year-round heated indoor pool is also available. Fallsview Casino is 7 minutes’ walk away. Everything. Great location, fantastic room. This hotel is located across from the Canada One Brand Name Outlets, which features shopping. The room was clean, the bathroom was SPOTLESS! Just a 10-minute drive from central Niagara Falls, Ontario, this hotel is nestled on over 4 acres of park land. Peninsula Inn features a fitness center. Staff was super! Room was Clean, plenty of space. Lovely grounds. Excellent value. Ideally located just one block from Niagara Falls, this Travelodge by Wyndham Niagara Falls at the Falls in Ontario offers convenient amenities and facilities in a prime location on Clifton Hill, the... Rooms are very good and the location is perfect. What are the best hotels in Niagara Falls near Niagara Fallsview Casino Resort? Some of the best hotels in Niagara Falls near Niagara Fallsview Casino Resort include Cozy Inn Bed & Breakfast, Absolute Elegance Bed and Breakfast and Niagara Falls Marriott Fallsview Hotel & Spa. Which hotels are the best ones to stay at in Niagara Falls? Sterling Inn & Spa, Courtyard by Marriott Niagara Falls, and Country Inn & Suites by Radisson, Niagara Falls, ON are some of the popular hotels in Niagara Falls. Which hotels in Niagara Falls have nice views? Niagara Falls Marriott Fallsview Hotel & Spa, Niagara Falls Marriott on the Falls, and Sheraton on the Falls got great room view-related reviews from travelers in Niagara Falls. How much does it cost to stay in a hotel in Niagara Falls? On average, 3-star hotels in Niagara Falls cost $98 per night, and 4-star hotels in Niagara Falls are $146 per night. If you're looking for something really special, a 5-star hotel in Niagara Falls can be found for $111 per night, on average (based on Booking.com prices). Which hotels in Niagara Falls are good for families? Many families visiting Niagara Falls loved staying at Sterling Inn & Spa, Vittoria Hotel & Suites, and Niagara Falls Marriott Fallsview Hotel & Spa. Which hotels in Niagara Falls are good for couples? These hotels in Niagara Falls are highly rated by couples: Sterling Inn & Spa, Vittoria Hotel & Suites, and Niagara Falls Marriott on the Falls. The average price per night for a 3-star hotel in Niagara Falls this weekend is $188 or, for a 4-star hotel, $252. Looking for something even fancier? 5-star hotels in Niagara Falls for this weekend cost around $216 per night, on average (based on Booking.com prices). Which neighborhood is the best one to stay at in Niagara Falls? Lundy's Lane, Fallsview, and Downtown Niagara Falls are popular with other travelers visiting Niagara Falls. Which hotels in Niagara Falls offer an especially good breakfast? For hotels in Niagara Falls that serve highly-rated breakfasts, try Sterling Inn & Spa, Vittoria Hotel & Suites, and Country Inn & Suites by Radisson, Niagara Falls, ON. Featuring the best views of the awesome waterfall sharing its name, Canada’s Niagara Falls is a small city promising more than just a stunning insight into the power of nature. 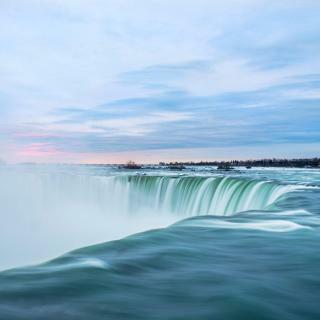 By day, view the falls from the riverfront promenade, or for an up-close-and-personal experience, the Hornblower Niagara Cruise takes you right into the swell. Rain ponchos are provided. 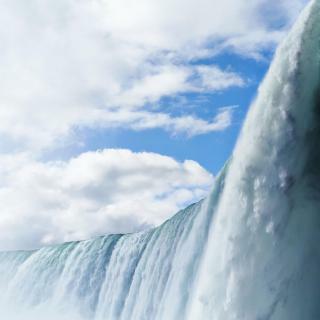 Alternatively, there’s the Journey Behind the Falls – a walk through the rock behind Niagara. Handy portholes help you experience the thundering water. Slightly downstream are the American Falls, less well-known and less impressive, but worth a look. At night, both falls get illuminated by colored lights – an incredible sight. Further downstream is the Rainbow Bridge which you can walk across to get an American stamp in your passport. Just check your visa requirements first. The city itself has 7 golf courses, with one right by the river – be careful with your swing! 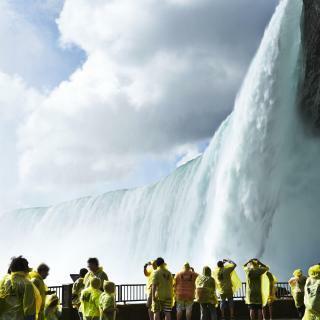 Other Niagara Falls attractions include casinos, movie theaters and Marineland Canada, featuring the world's largest whale habitat for viewing orcas both above and below ground. Unless you fly into Niagara Falls Airport on the US side, you’ll probably arrive by car. So check out the hotels, apartments, motels and more on Booking.com with easy parking options. We used Over The Falls and Adam our tour guide was fantastic! We used Over The Falls and Adam our tour guide was fantastic! Some areas were off limits due to construction but we were able to see all Falls on both American and Canadian sides, he had all of the history, stopped at a great place for lunch, ended up behind the Falls! We had dinner at Zappi’s pizza about 120 ftfrom hotel, nice atmosphere and very good food! Enjoyed the falls most of all - having a room with a view honest might've been the best part. We'd get ready to go do x but end up looking out the window for another 15 minutes! Good food, good tourist-y things to do, and definitely an enjoyable location. The falls were gorgeous, I liked the passes you could buy to do the different attractions and ride the bus. I also liked that Clifton Hills was separate from the other falls activities. 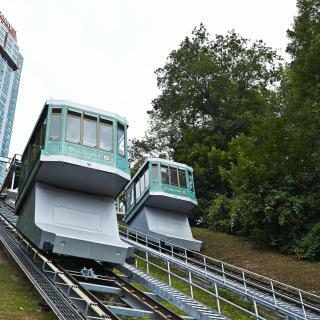 While my kids enjoyed Clifton Hills I hate that we have to make such a crazy, man made place for families to have fun when there is such beautiful natural attractions right there. And food was so expensive! Very clean! Clifton hill was amazing!! Great places to eat, lots of activities!! Ate at Frontier barbecue & Smokehouse it was the best bbq I have ver had Chucks Roadhouse was delicious and great prices & very friendly staff!! Walking distance to the Falls, Casinos, Shops and resturants. Walking distance to the Falls, Casinos, Shops and resturants. Great location, free parking and Wifi, pools, hot tub, sauna and 24 hr fitness center. Breakfast on site children under 12 are free and property has balcony rooms. Wonderful hotel in a great location. Away from downtown Niagara Falls in a quiet area, yet still close enough to enjoy the attractions. So much to do on the grounds. Restaurants all had great food and friendly staff. Water park had something for everyone in my family to enjoy. Our room was comfortable and clean and it looked like they were doing some upgrades to the rooms. Highly recommend staying here! Everything! The location was perfect. The Fallsview rooms have a wonderful view of the American Falls and Bridal Veil from the lower floors. On the higher floors u get a broad view of the entire Niagara Falls! The hotel is also internally connected to the huge indoor Fallsview water park! The hotel is right next to Clifton Hills and next to the bridge to USA!! I will definitely stay here again! It was my 3rd stay at Niagara falls and this time selected this hotel. Location, helpful staff , cleanness and value for money are significant features. I had problem with the room next to us as they were making a lots of noise at even 1-2 am. So security staff handled it fair and firm. The hotel has 2 restaurants, the meat market and don cherrys restaurant. Don cherrys was worth every penny, plus friendly staff. Ihop was nearby so had breakfest there the next day. Clifton hill is 9mins away. And the canada one outlet was literally across the street. Double Tree is located on the WeGo bus route, which makes it very convenient for getting to various Niagara Falls attractions. It is about a 20 minute walk to the falls. The hotel is well maintained and the location is quiet. I really enjoyed staying here. Really good and clean location on walking distance from the Niagara Falls. I had some dinner at the hotel itself and it was very good! Also the employees were helpful and friendly, they made sure that I would have a great time. Perfect hotel for a trip to the Niagara Falls! Quiet at night (we slept perfectly) but by walk you’re in a few minutes in the middle of the centre/at the falls. We had a warm welcome and would recommend it to everybody !! It’s a good hotel if you’re visiting Niagara Falls. Best thing is you get breakfast which is included in the room reservation There’s even a pool, hot tub and a sauna for all to enjoy. Very much recommend for all. Fairly close to sites. Staff was excellent. Beds were very comfortable. It was an older hotel but we'll maintained. Being it was in Niagara Falls everything is more expensive. Perfect location , near water park , Niagara Falls and Clifton hill. I Recommend this hotel for families with kids. You can leave your car in parking even after check out. Staff was friendly, hotel was very clean, great value and walking distance to Niagara Falls and attractions. Breakfast was good. Beds were comfortable. We stay at this hotel every time we are in Niagara Falls. Valet car service, shuttle service, give you a bunch of free coupons and even a 48 hour bus pass. Great views of the falls from our hotel room. Excellent hotel. If you got here, there is no need to go anywhere . Boston Pizza , water park and arcade games right at the property .